Small business loans fast and easy from $2,500 to $1,000,000. Business loan options include bank statement loans and asset based loans. 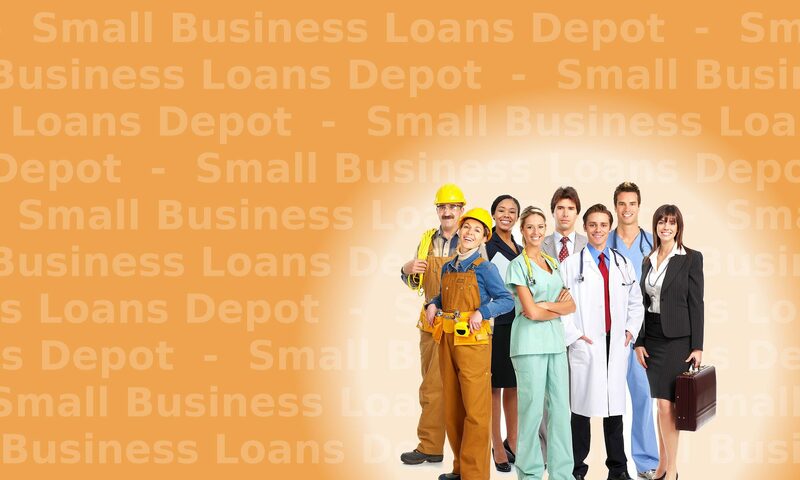 Alternative business loans include loan against equipment, dental practice loans, and medical practice loans. Specialized funding for loans to pay irs taxes, money for business payroll and emergency business funding. Use for any reason. Wide range of customer profiles eligible. Tough transactions are made routine. Do you need a business loan fast? We specialize in fast business loans. Process is fast and easy. Unsecured cash flow programs widely available! Quick approval and funding process. The revenue loan and gross sales loan are as fast as 2 to 3 business days. No upfront or processing fee. Traditional programs have a high decline rate. We have a high approval rate. Your request will be handled by an experienced industry representative throughout the process. In business for as little as 3 months. Low credit scores accepted. No minimum credit scores for several programs. Programs available for U.S. and Canadian working capital loans and programs only. Click on the online application above, or on our “contact Me” above. One of our highly experienced industry credit representatives will contact you. Your small business loans needs and funding options can be reviewed within 2 hours. Funding programs are available for United States and Canadian companies only. Answer:Make a list of your type of business, time in business, approximate credit scores, amount requested and approximate annual business revenues. List any weaknesses you or your business may have. Discuss with lenders in advance to determine which of the programs your business will most likely qualify for. 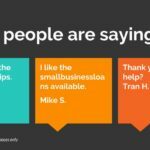 What types of small business loans are available? Answer: Requirements are different for each program. Your business may be able to pre-qualify for several options including a bank statement loan, accounts receivables financing, loans against real estate and other asset based loans. Answer: The amount your business can qualify for depends on several factors. These include time in business, personal credit, business revenue, the type of business. In addition, other factors may include business credit and average daily balances of your business checking account. I need $100,000 and we only qualify for $50,000? How can I get a $100,000 total? Answer: There are several funding programs available. Your business may be able to get $50,000 under a first funding program and then qualify for another $50,000 under a second program. A customer can often get the first $50,000 under a revenue based business loan, then get the second $50,000 under an asset based business loan. Do you offer business loans just in the company name with no guarantor? Answer: No guarantor business loans are also referred to as corp only and corporation only business loans. These are approvals for small business loans that are just in the company name and are much more difficult to get approved. A business must usually have over 5 years in business under the same name and meet other requirements. Please inquire for more information on this program. Other advantages of our programs include significant tax advantages. Payments on the asset based loans may be 100% deductible. Assets are used as collateral but only a small part of the business owners assets are used for any transaction. In most cases, only a fraction of their assets are used. This compares very favorably to most other programs where real estate, all the company’s accounts receivables, or their entire assets are held as collateral. There are often tax advantages for an asset based real estate program, comparable to the traditional home mortgage deduction. The entire payment instead of just the interest portion of the payment. The customer may lower their tax obligation. 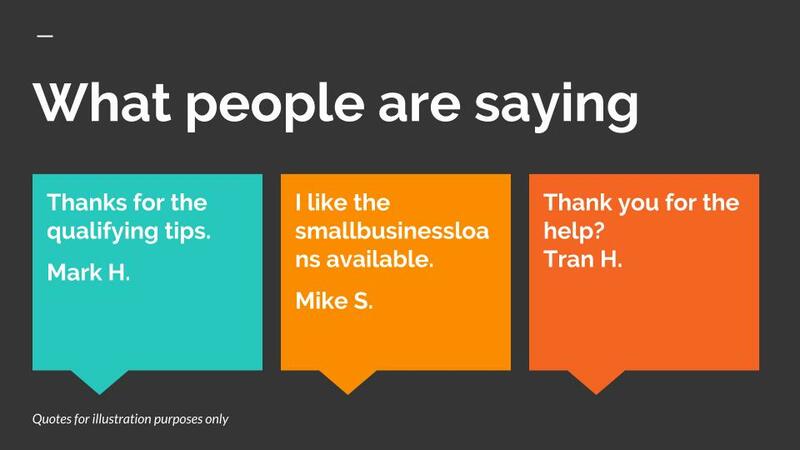 Thank you for visiting our small business loans resource page!